Hip-hop, top 40, and '80s. Friday & Saturday: 10:00 pm - 4:00 am,Sunday & Monday: 10:30 pm - 4:00 am. Monday is Industry Night, Sunday is Night Swim. 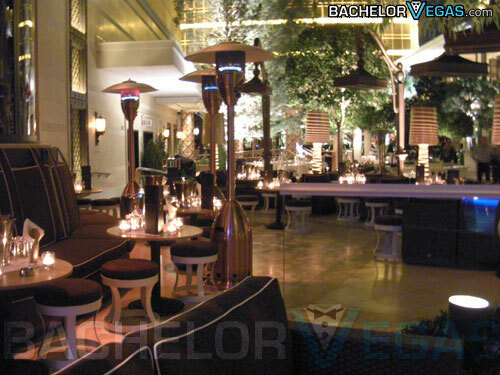 Sin City is known for its lavished style. From the moment you step foot on Las Vegas Blvd, it's impossible not to wonder just how much money went into each magnificent structure. 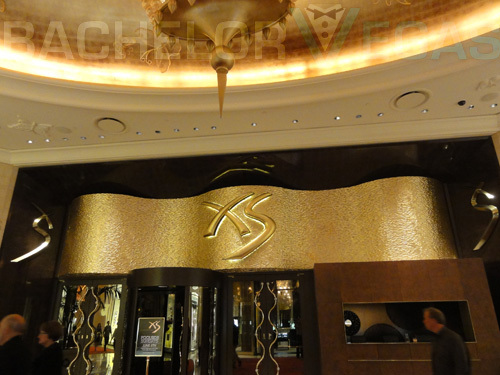 If there's any indication as to just how much money was dropped to make Sin City the small stretch of extravagance that it is, it's Steve Wynn's XS nightclub. 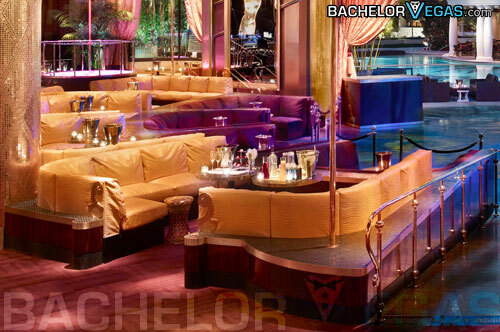 Nowhere else on the Strip is there a club that even comes close to matching the style of this club. Decorated in over $100 million worth of gold and other fine finishings, based within the Encore resort and casino, is the hottest and most magnificent display of what Las Vegas' nightlife can really deliver. 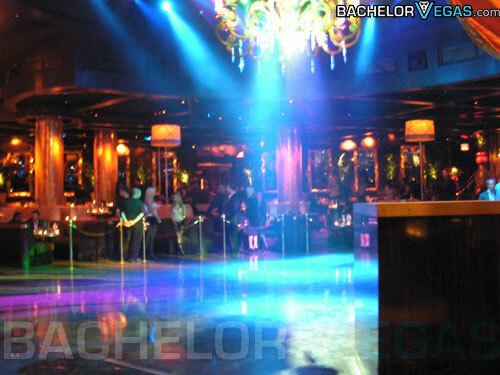 Though its sister properties Intrigue and the Encore Beach Club can keep the party going, this exclusive hot spot takes a step further with its rich tastes, world class resident DJs, and very active dance floor. 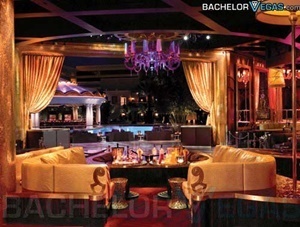 You don't put over $100 million in decorating a place and then sell your services for mere pennies. If you're going to call this club your home for the evening, you will want to make sure your wallet can handle what's coming to it. On top of the cover charge at the door, you should expect to drop well above $10 per beverage, especially if you brave the $10,000 Ono. This fantastic beverage is a mix of Dom Peringon Oenotheque champagne and Louis XIII de Remy Martin Black Pearl cognac. For $10,000, you also get a pair of sterling silver cufflinks and an 18k white-gold chain with a black pearl pendant accented by the XS logo. Sounds like a lot to drop in a nightclub, but if you've got the dough and the desire to impress those around you (or that special lady on your arm), why not give it a go? Okay, so maybe $10,000 is a little out of budget; but that doesn't mean you won't be able to spring for the club's premium bottle service. 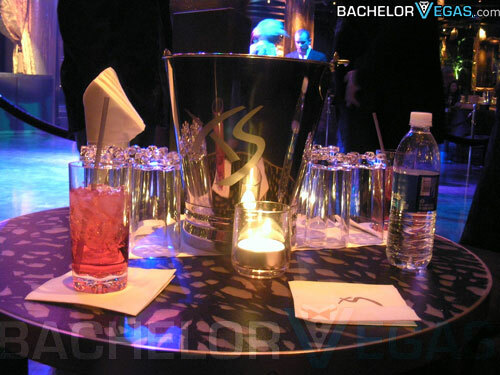 Sure, it's pricier then other clubs on the Strip, but a VIP booth at XS is much like a rite of passage. Once you've had the opportunity to sit upon the gold-embossed VIP seating, you'll feel like a whole new person. 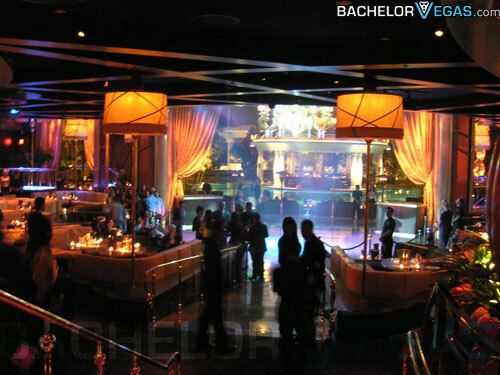 Not to mention the fact that you'll receive VIP treatment at the hottest club on the Strip. 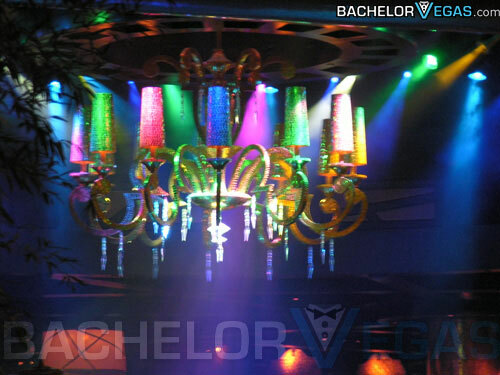 Speaking of bottle service, you may want to think of it as essential to even getting into the club. Whether you're joining the party for a holiday weekend or on a random Tuesday in March, you can expect the lines to be snaking well beyond the door. 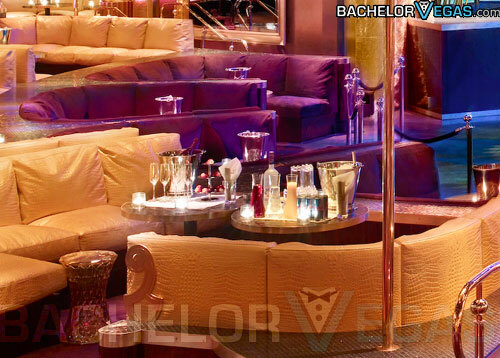 With a premium bottle service on your side, you'll be able to snicker at each of the poor fools stuck in line. Chances are you'll see them again on your way out, so don't make it too obvious that you're laughing at them. 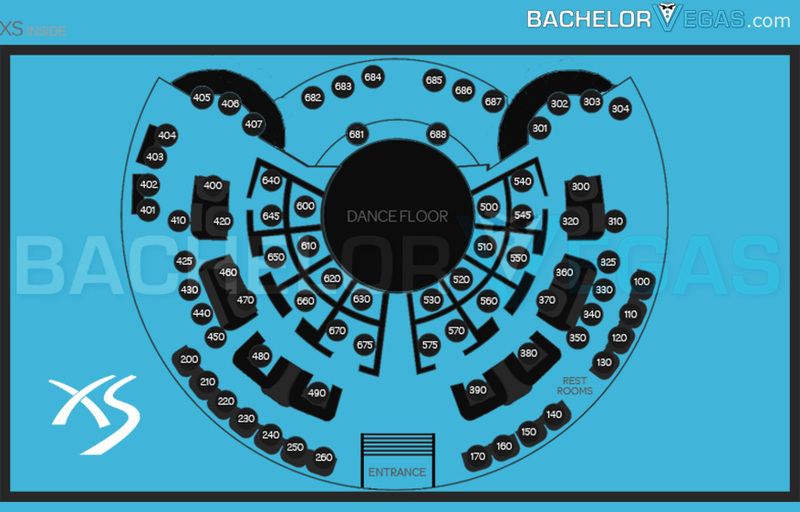 On holidays, you can expect tables lining the dance floor to skyrocket into the $20,000 range. Refer to the section above and be sure to save those pennies! 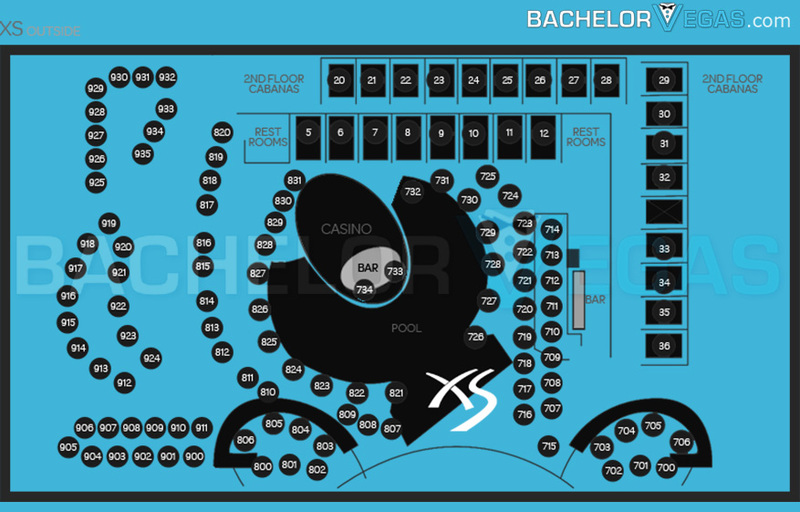 ... but Club XS' outdoor space helps to sell this club's sheer convenience, comfort, and blatant party atmosphere. If you can find the strength to pry your eyes off of the interior to this mega club, you'll find that there is also an outdoor space made up of 27,000-square feet that is equally as inviting. On Sunday nights during the summer, the club's interior shuts down completely, forcing the party to encircle the overly refreshing pool. Here, it turns into a high energy pool party, where there's a very good chance you'll be able to people watch and drink in the beauty of your fellow bathing suit-clad patrons. On any other night during the week, you'll still be able to party the night away in this cooling outdoor space. Dance beneath the desert stars as XS Las Vegas' professional house DJ spins a mix of music that all are bound to find enjoyable. 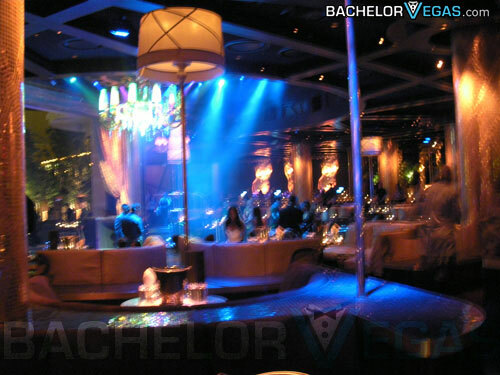 Since the cost is a little higher then normal, you may find yourself trying to find another nightclub alternative to XS. Truth be told - don't even bother. It's not just the club's look that gives it its popularity. Behind every great nightclub is an excelling group of house and special guest DJs that know just how to keep a party rocking. Resident DJs like the infamous deadmau5, Afrojack, Lil John, Tiesto, and Skrillex all have a knack for providing a constant stream of addictive music that has no problem pulling in the crowd. You may find that your body will be in need of a break from the constant partying, but you'll find yourself hard pressed to actually be able to step away from the dance floor. 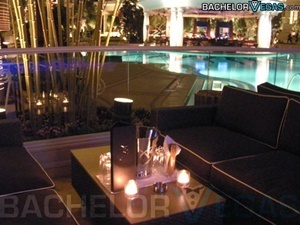 Unlike other clubs, This Wynn-Encore discotech is something you need to plan for. You can't just show up with a few hundred dollars in your pocket - you need to have this evening planned. It's easy to say that you'll set a budget, but once you're there, you'll be surprised as to how difficult it is to stay within said budget. Despite the price of the beverages, the sheer deliciousness of them may cause you to start ordering them like they're $2.50 soft drinks. Don't let the cost sway your decision, though. 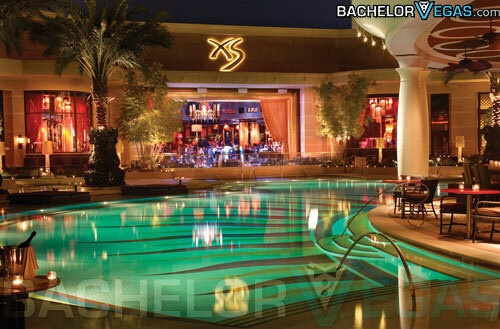 XS Nightclub Las Vegas is by far the hottest spot on the Strip, and there's no reason to no try it at least once in your life. 5.0 on Apr 6, review by Josh B. 5.0 on Apr 6, review by Jay T.
5.0 on Apr 6, review by Tony D.
5.0 on Apr 7, review by Troy S.
5.0 on Apr 11, review by Whitney K.
5.0 on May 20, review by Diana S.
1.0 on Dec 20, review by Theresa G.
5.0 on Mar 3, review by Steven R.
5.0 on Jun 8, review by Ryan T.
5.0 on Jun 11, review by Hank G.
5.0 on Jul 15, review by Gayane S.
5.0 on Jun 11, review by Steven .